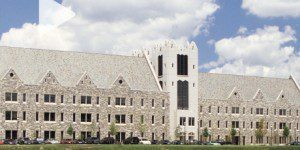 The intensive Saint Joseph’s One-Year Executive MBA (EMBA) program at Haub School of Business requires students to take 30 credits over three semesters. Classes meet three days a month (one Friday and two Saturdays) from 8 a.m.-5 p.m. Student breaks are scheduled during holidays and summer. The program culminates in April. There are currently 195 students in the HSB EMBA program, split between the One-Year Executive MBA and 20 Month Executive MBA. These students are 47.7 percent female, 33.3 percent minority status, and 1.5 percent international. The average age of the class is 40-years old. The Saint Joseph’s One-Year Executive MBA program does not offer career services because most students are being supported by their current employer. However, students are welcome to use the resources of the St. Joseph’s Career Development Center to meet their professional needs. Students also receive one-on-one executive and team coaching and leadership development throughout the program. Tuition for the Saint Joseph’s One-Year Executive MBA program in 2018-2019 costs $2,310 per credit. Over the 30 required credits, this comes to a total of $69,300. These costs include tuition, a laptop computer, textbooks, instructional materials, the international study tour costs, parking permits, a student ID, library and computer lab fees, breakfast and lunch on class days and Executive Coaching. Through the Employer Deferral Program, students whose tuition is being covered by their employers can pay their tuition at the end of each semester for an additional fee of $35. The Saint Joseph’s One-Year Executive MBA requires a minimum of five years of professional experience, a minimum GPA of 2.5 and an undergraduate business degree. Applicants must submit a completed application form, a current résumé, complete official transcripts of all collegiate and graduate work, a personal statement, and a professional recommendation. A personal interview is also required, while GMAT scores are not. All applicants are invited to interview on campus with two of our faculty members. Since the school does not require applicants to submit GMAT scores, HSB has recently begun asking students to take a math assessment and provide a writing sample. International students must submit an official WES (World Education Service) course-by-course evaluation. As well, students that earned an undergraduate degree where English is not the primary language must submit TOEFL scores. Those who choose not to must enroll in a two month ESL (English Second Language) program. Students are evaluated at the end of the program.m.